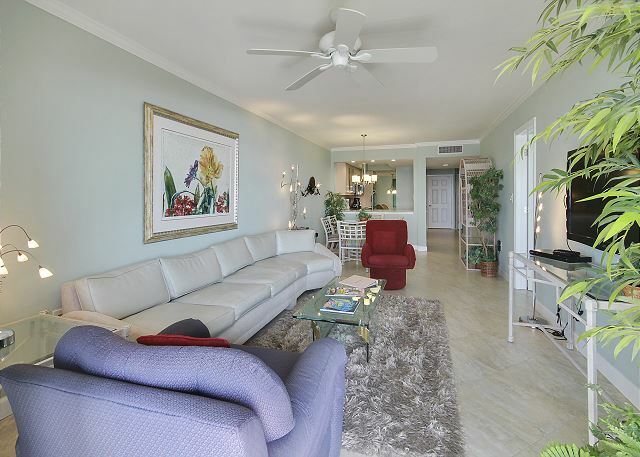 Great top floor, Gulf front condo with updates! 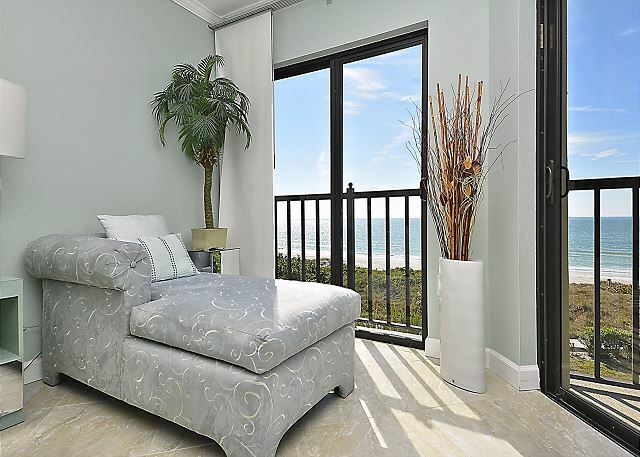 Enjoy the Gulf Coast sunshine and spectacular sunsets from the comfort of your living room, master bedroom or private balcony. 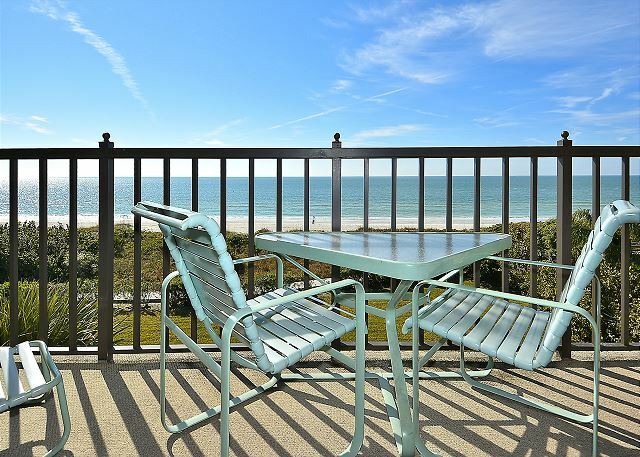 The private balcony facing the beach and the Gulf of Mexico is a great spot for watching the glorious Florida sunset. 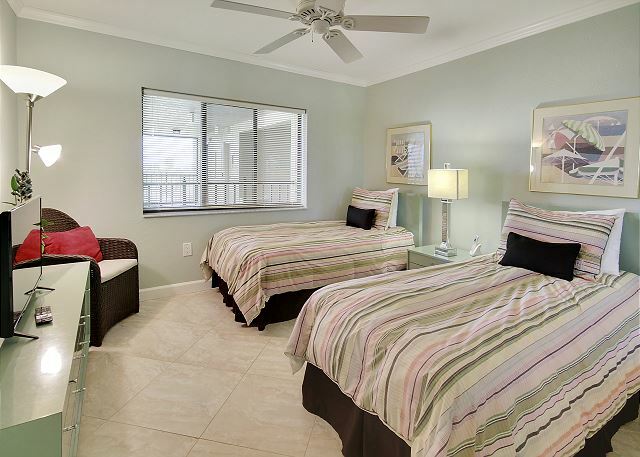 Enjoy comfortable furnishings and tile flooring throughout. 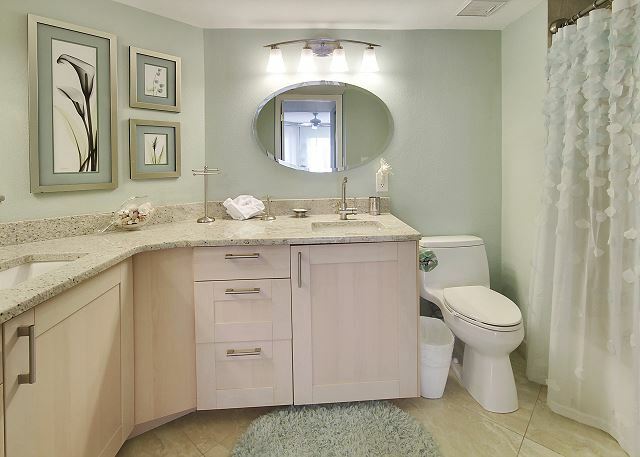 The master and guest bath have been completely remodeled. 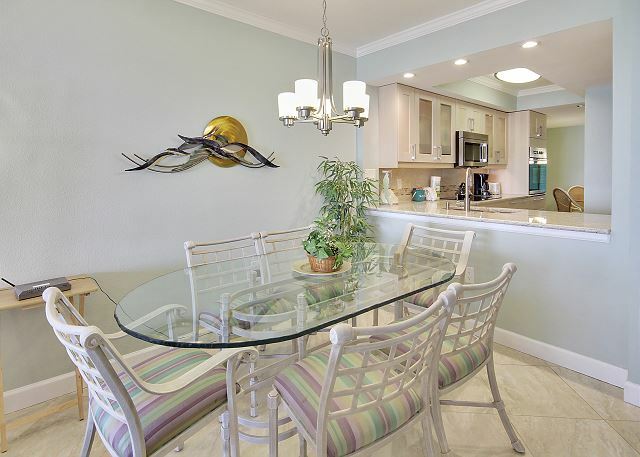 Located in the popular Sunset Beach neighborhood, this lovely condo has a fully equipped, completely remodeled kitchen and 2 flat screen TV’s. Free internet service as well. The unit was very clean and in good order. We love coming here! Awesome, we always love having you!! :-) Thank you for being our guest and we look forward to your next visit back to Land's End! A visit to Land's End is always a treat. Beautiful beach location. This particular unit is up at the top of the list. Updated and well cared-for. Thanks! Wonderful location and can't wait to go back. We have been staying at Lands End for many years. Our apartment was beautiful and we were blessed with beautiful weather. Kitchen is well stocked. Apartment is beautifully updated in kitchen and baths. Only matter of concern is that the red chair in the living room spins and has caught my parents and daughter off guard a few times. If they remember it spins, no problem. Beach is beautiful, great restaurants and stores, hospital and airport are close by. 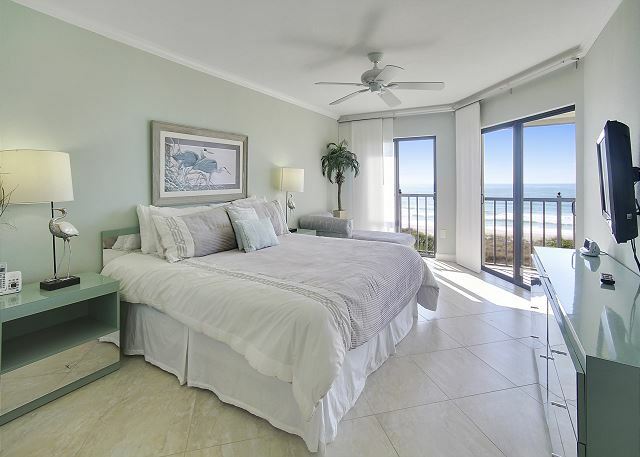 Resort Realty rentals is wonderful to deal with. 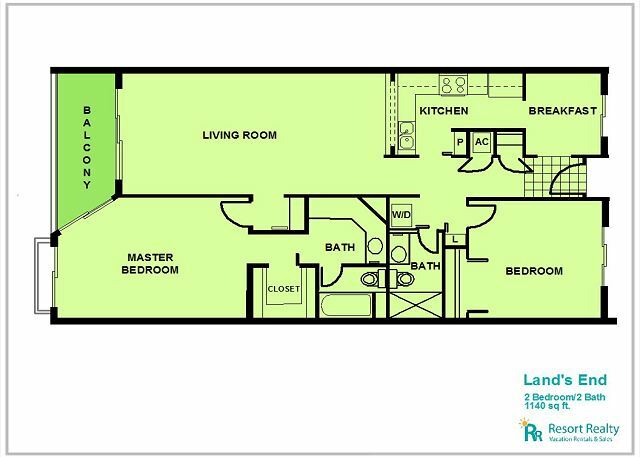 Thank you for your feedback on this condo and we are so pleased you enjoyed this premier unit at Land's End.....maybe minus the chair. ;-) So glad you enjoy our area, it really is an awesome spot and thank you as well for the kind words about our staff!!! Thank you for staying with us and we look forward to a return visit!! Our son-in-law was our guest and is a frequent vacation on the beach type guy. He stated that is the best location that he had ever experienced. It was very satisfying. 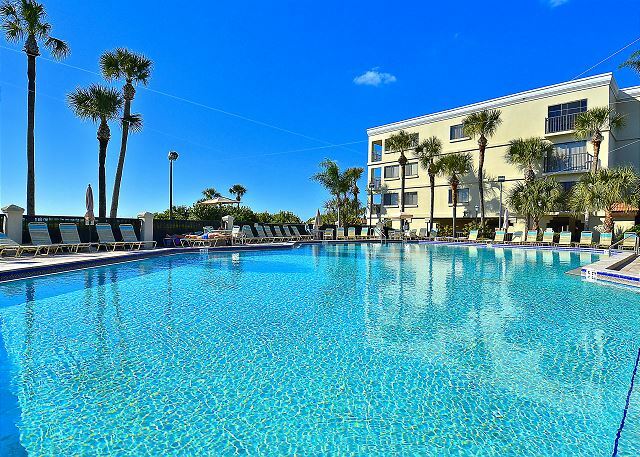 WE were very pleased with our vacation rental experience .The property description was accurate regarding the location, layout ,amenities .Condo was clean and well-maintained.WE would highly recommend this property ! Great to hear!! 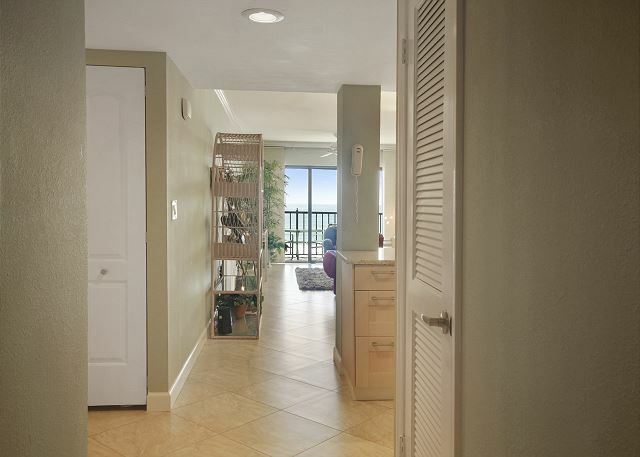 :-) We are so pleased you had a good experience and enjoyed this beachfront condo at Land's End, the owner really did a lovely job on the interior and we are glad you liked it! Thank you for being our guest and we hope to have you back for another visit soon. We had a great stay with little mistakes, like broken elevator when arriving and bad WiFi. Thank you for your post! We are so sorry for any "hiccups" you encountered while here but are so glad to hear you still had a great stay. Thank you for being our guest and we hope to have you back for another beach getaway soon! What can I say. The unit was in great shape and up to date, the property was clean and the staff was friendly and once again the best part was checking and getting to see Gail once again. There is nothing like a smiling face and great customer service after driving 16 hours. I have said it before, she is the true treasure of Treasure Island. Thank you Gail for the hospitality. You are so, so wonderful and we just ADORE having you! Gail is the gem of Treasure Island and we couldn't agree more!! :-) Thank you for staying with us, we can't wait to see you again very soon!! Watch dolphins from your bedroom or balcony. Everything you need in the unit. Check-in, check-out procedures easy. 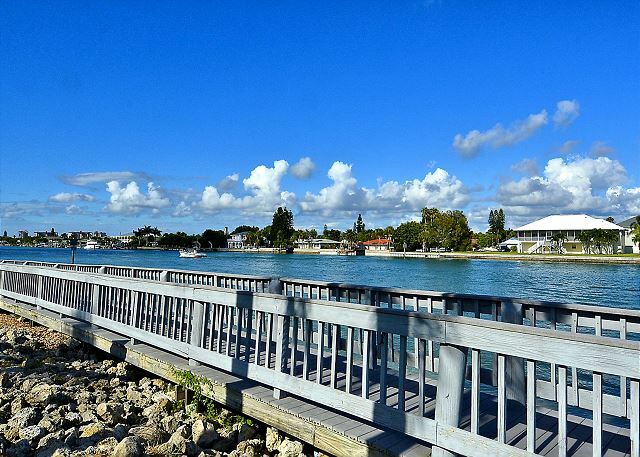 Short drive from grocery, gas, and other amazing beaches. This has been the best beach vacation in Florida. Thank you for this post! So wonderful to hear that this was the best FL vacation spot for you and that you enjoyed the condo, Land's End and our area overall! :-) Thank you so much for being our guest and we hope to have you back on our beautiful beaches again soon!! The unit was great, everything was updated. 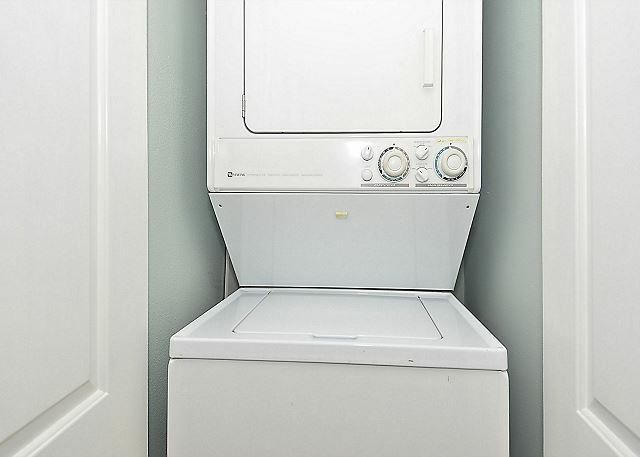 Washer/dryer was larger capacity than most stackables. Resort Rentals was great to work with, as always, and addressed our wifi issue within minutes of being contacted. We have stayed at many units in Lands End and this is our favorite. 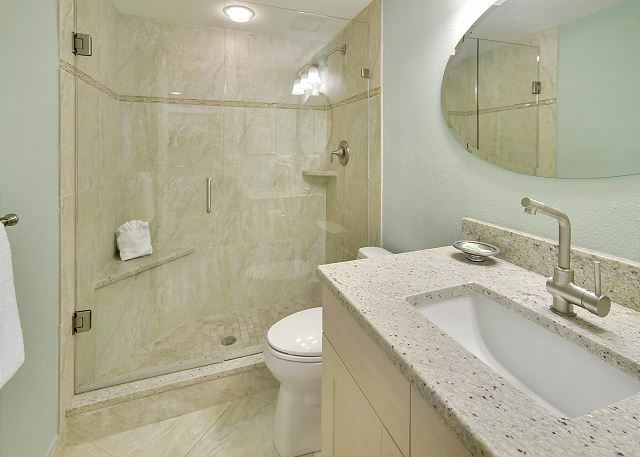 So glad to hear you had a good stay in this premier condo at Land's End; the owners really did a lovely job on the updates and we are glad you enjoyed! :-) Thank you for the kind words about our staff, we are always more than happy to help! Thank you for being our guest and we look forward to your next getaway to Land's End!! Fantastic. Really liked the unit. it had all amenities, was very well taken care off!! we had a blast! spectacular. This unit actually has a comfortable king bed mattress, which is quite unusual for the Lands End condos we have rented over the years. The kitchen is well stocked with good cookware, although we did not eat in this condo often. There was horrible jack hammer noise from the apartment next door for three days and when we finally reported it to Resort Realty rentals, it did stop for the duration of our stay. It did cause a very stressful three days however. We will return, just make sure there is no construction in nearby units. 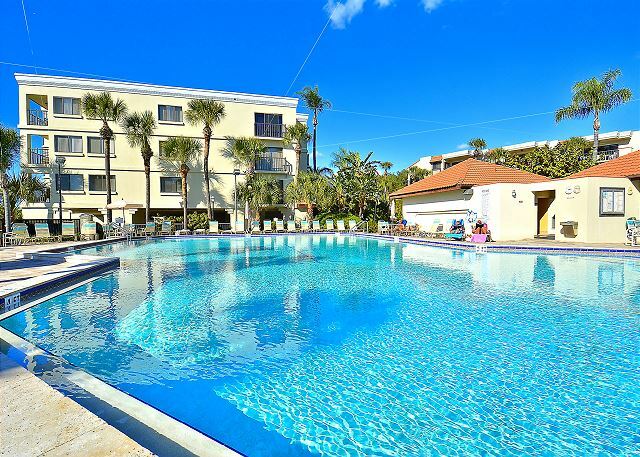 We were unable to book our usual Condo for our annual Beach Week in June due to availability. This Unit is very tastefully decorated, but the Euro Furniture is not very comfortable. 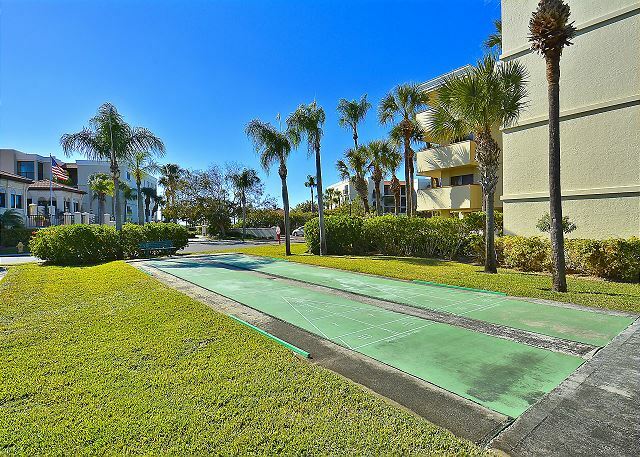 We had looked at photos of many, many Lands End units on the Resort Rentals website and this one seemed to stand out -- we were not disappointed when we arrived. 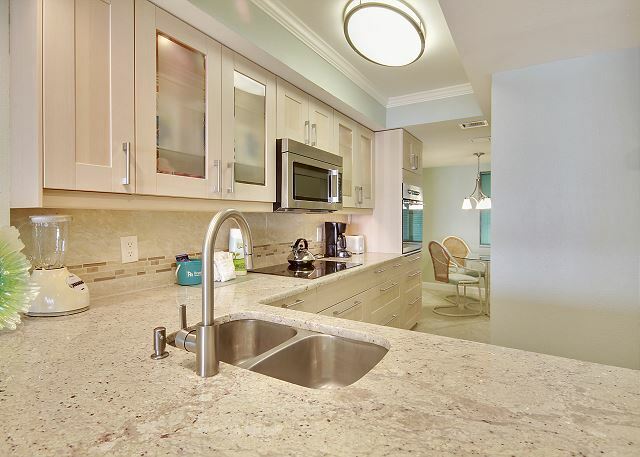 The unit is completely updated -- fully tiled floors, fully updated bathrooms and kitchens (granite counters, under mount sinks, quality cabinets, stainless steel appliances), walk-in shower in guest bath, large gulf front master bedroom. Everything in this unit seems new/newer and is very well coordinated. 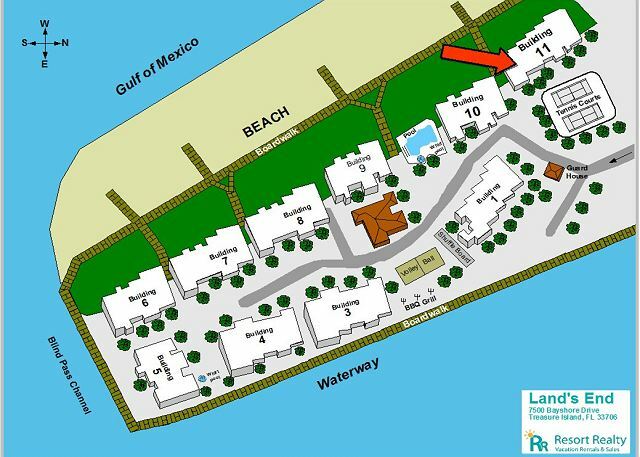 The gulf front beach view is perfect and the covered patio (not huge, but adequate) is private. The resort grounds were not overly lavish, but are very nice; 1st floor covered parking keeps your car cool. Resort Rentals was easy to work with. Would HIGHLY recommend this unit. My only (relatively minor) complaint would be the noisy fan in the guest bathroom. Very happy with position and facilities within the condo. 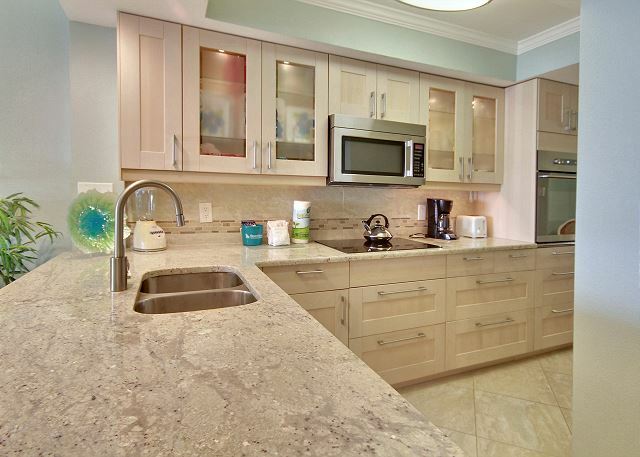 This condo is in excellent condition with beautiful views and access to great amenities. Working with Resort Realty was also a very positive experience - they provide great service and assistance. Excellent. 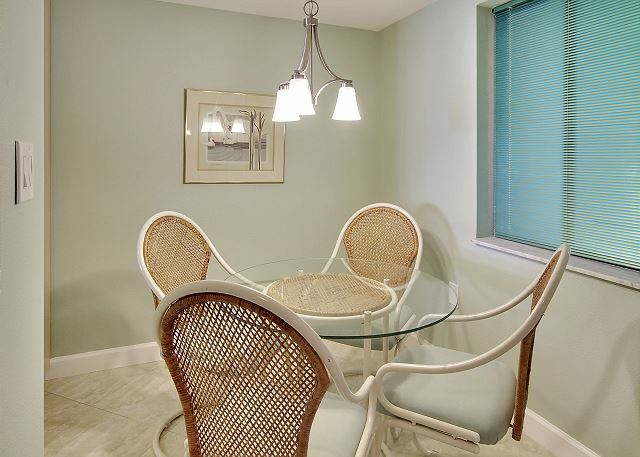 Beautifully remodeled and cared for unit. Kudos to the cleaning crew. It was immaculate when we arrived. Great view of the beach and Gulf. Sunset views are to die for. Gas BBQ would be a huge improvement. We really enjoyed our stay at Land's End in unit #406. It was well-appointed, clean, and welcoming. I'd request this unit again, and recommend it to friends! 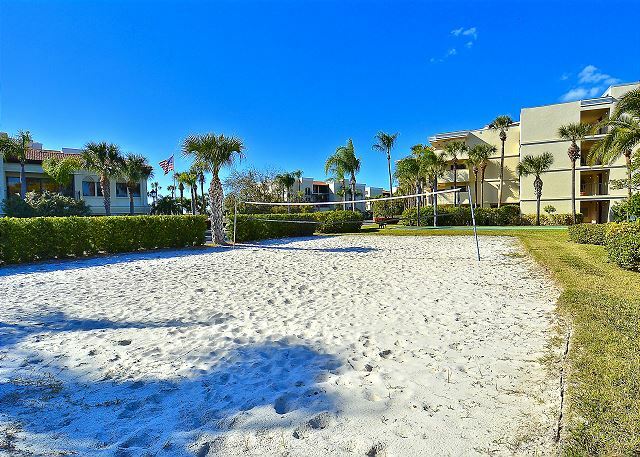 Fantastic New Condo on a Fantastic Beach! 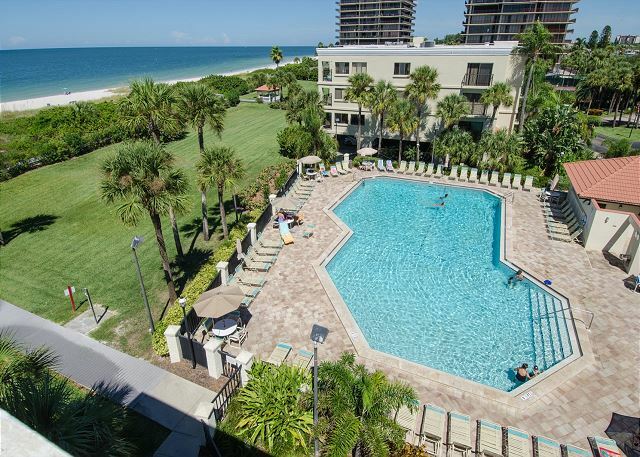 Quite simply, when you're sitting on the terrace of this beautiful condo, overlooking the magnificent Gulf, there is clearly no other place you need to consider for a vacation. The water is magnificent, the beach fantastic and nearby restaurants and shops a treat. If you bring the kids,the pool is wonderful but the beach is simply magnificent. Proximity to Orlando for day trips to Disney is an asset. The condo itself is wonderfully decorated. Fully equipped kitchen, bedrooms, baths. Beautiful new flat-screens TV'S in L/R an Master with internet access. Only shortfall is the lack of a TV in the guest room. Only recommendation is to supply one right away. Thanks Resort Rentals for a great experience and thanks to the owners for a great condo! We will return. Warm weather, sunshine, walks on the beach and sunsets at night. What could make it better? Oh yes, escape from the cold and snow. 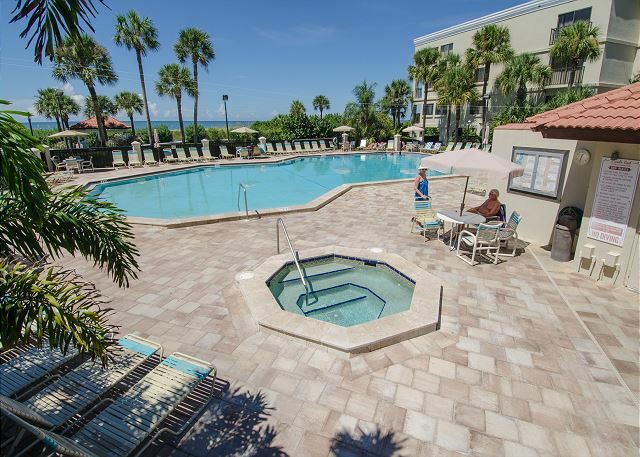 great beachfront location and the Lands End pool was nice, our kids really enjoyed it. 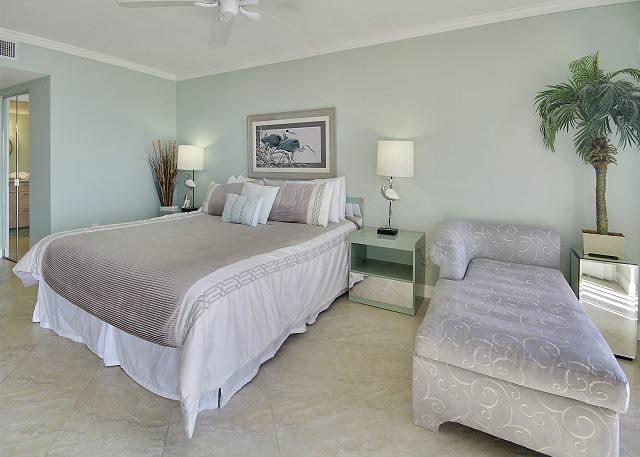 Resort Rentals is a wonderful company to deal with went renting a vacation rental. 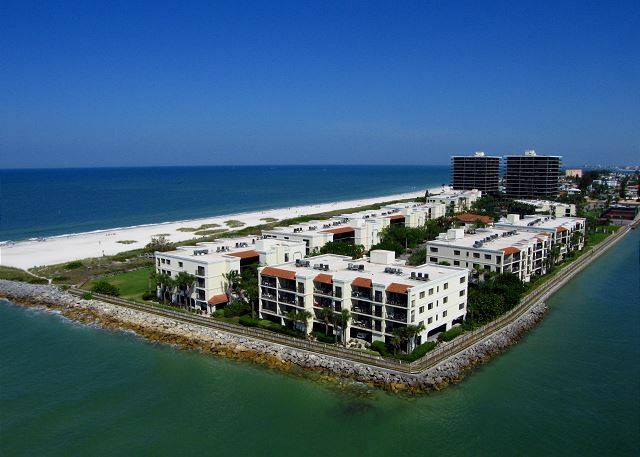 Treasure island is a beautiful beach area with plenty of great restaurants to choose from. The sunsets on the beach are the best. 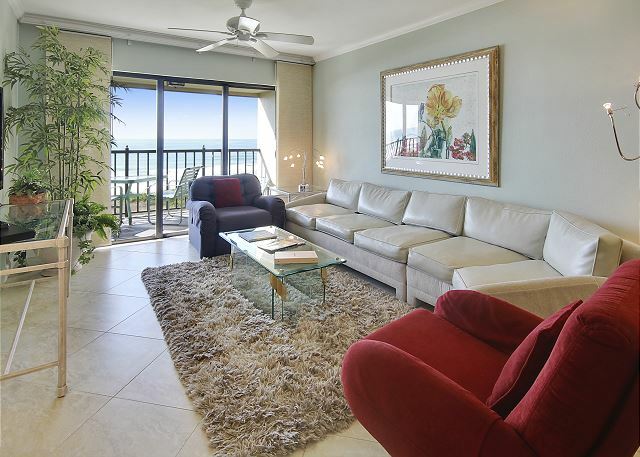 On the beach, gazing at the gulf, this recently remodeled unit provided many relaxing evenings as we sat on the balcony, sipped martinis and watched the sun go down. In the well appointed kitchen we cooked wonderful dinners with fresh pasta and pesto sauce from the Italian Market mixed with shrimp and scallops from the local seafood markets. Afterwards, a walk on the beach with a chilled glass of chardonnay made for the perfect ending to a perfect day. beautiful condo & fantastic location! 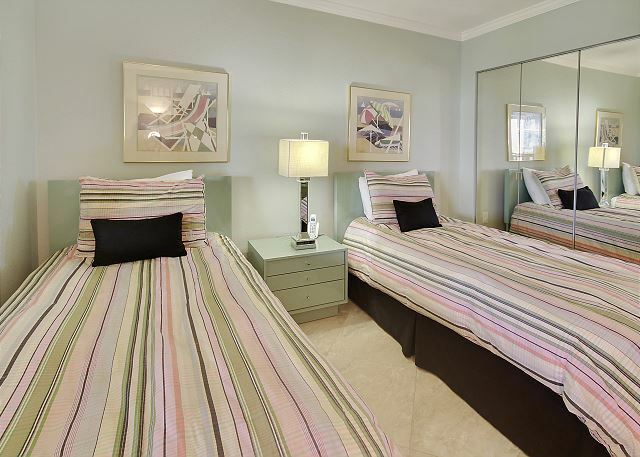 Completely renovated.Kitchen fully stocked.Plenty of linens,towels even some water toys in closet. Only complaint-Glass table in living room too heavy to move & hard to get around it. Beautiful but dangerous if kids trip on shag rug & hit it. I would recommend this unit to people without young children. Awesome!!! great place to see dolphins. Beautiful location and easy to get around. Enjoyed the up-graded new interior of condo-excellent!! Property management was very good, and helpful to us. We have been renting since the place was built..this was the easiest rental we have ever had...and the nicest! Thanks.